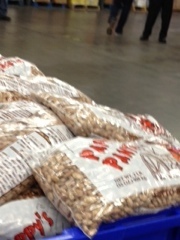 That was my job at the Food Bank…..pinto beans!!! 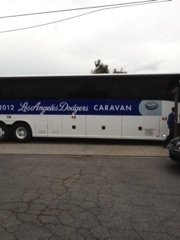 The Dodger Caravan bus arrived!! Some of my favorite legends were there. 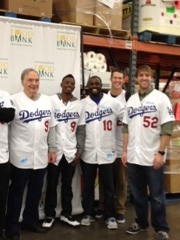 Another picture of the Dodgers who volunteered at the event. 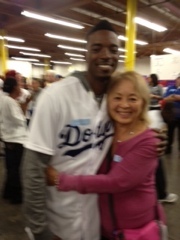 My favorite shortstop Dee Gordon. I think I could wrap my arms around him twice! 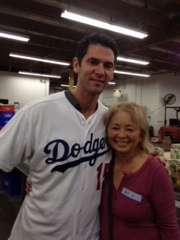 My favorite picture: Shawn Green, the Dodger who was instrumental in making me True Blue. Thanks for stopping by. 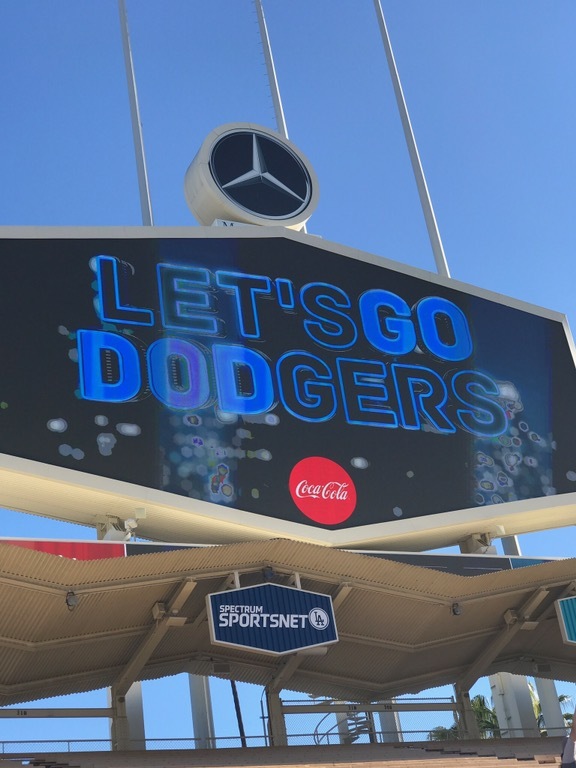 I wanted to share my pictures with you of an experience I will always remember!! 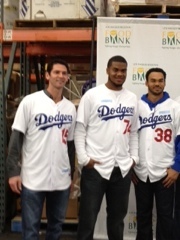 Please support the Los Angeles Regional Food Bank! !